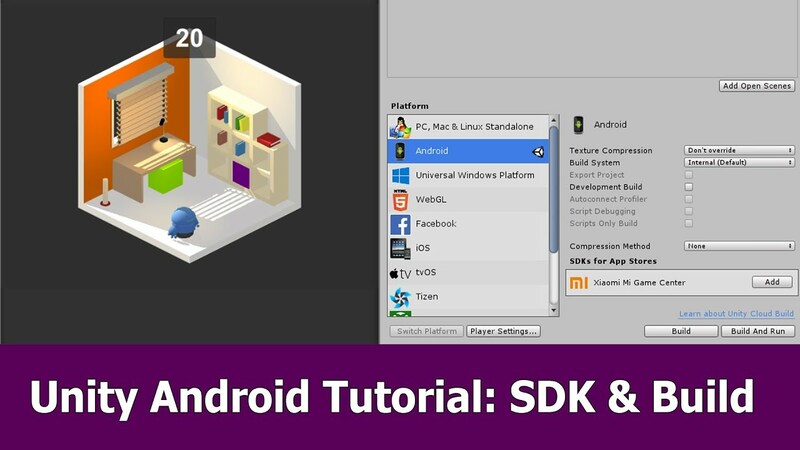 In this Unity video tutorial I show how to deploy a 3d game made with Unity on an old Android device. I like to use an old device (my Samsung S3 Mini) for testing because if the game runs fine on this I can assume it will run on newer devices as well. After installing the Android Studio, which is a simple way to install the Android SDK, I had to replace the tools folder with an older version, because Unity isn’t able to work with the new version. I also has to remove the Post Processing stack of the camera in Unity, because my device (Software and/or hardware) does not support this. But the results sre still really good and I can continue creating the indie game Rotado like I planned it. A short gameplay video is added to the end of the video in which you can see the game in action on my device.